Chief Alliance Officer, Harbinger Systems, Inc.
As director, she provides critical insights that enable diverse teams to succeed in a variety of highly competitive industries, cutting-edge markets, and fast-paced environments in the U.S. Seema’s relationships with prominent and influential experts in the eLearning industry have been a driver for ongoing growth for Harbinger products and services. 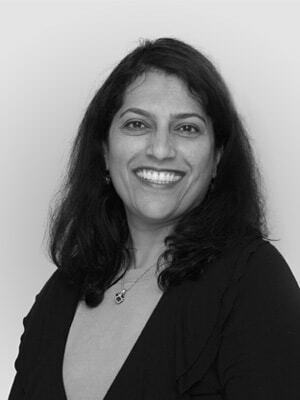 Seema has a passion for customer experience, and has led the overall growth and direction of the company’s marketing initiatives, channel development, strategic partnerships, and customer acquisition through both online social media and conferences. Leveraging her experience in marketing, sales and business development for international markets, she has helped create new opportunities in emerging markets such as Latin America. Seema is a Member of the eLearning Guild and American Society of Training and Development. She holds a Master of Landscape Architecture from the State University of New York, Syracuse and a Bachelor of Architecture from University of Bombay, India. She also completed the Executive Development Program at the University of Washington’s Foster School of Business. Seema serves on the City of Redmond Arts Commission and enjoys running and biking. She lives in Redmond, Washington with her husband and two sons.